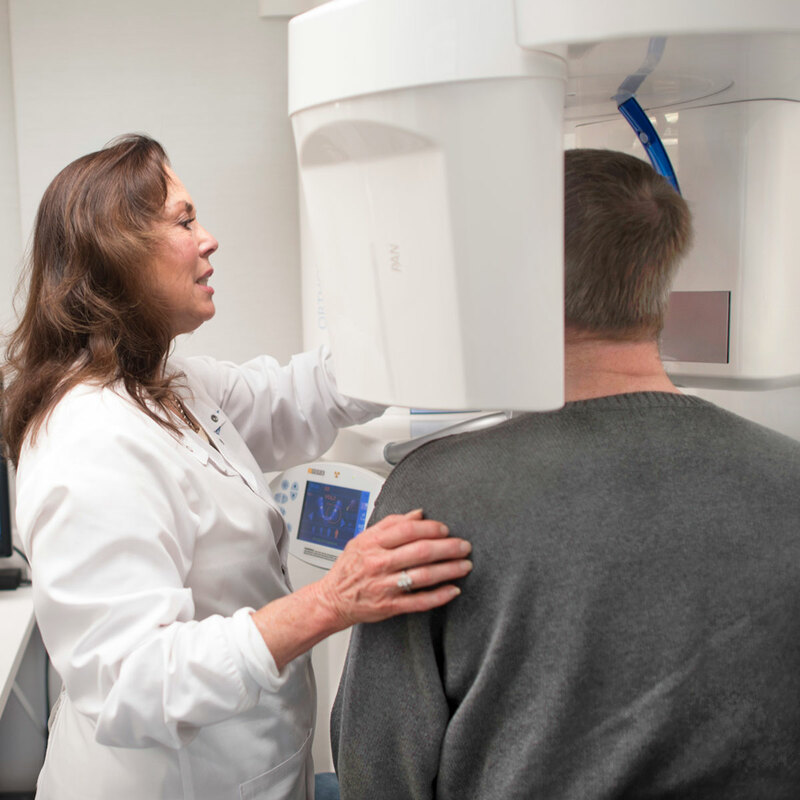 At Wayzata Periodontics & Implants, we are proud to offer the latest 3D/Cone Beam imaging. This advanced high-definition technology captures panoramic, three-dimensional digital views from multiple angles – all in just seconds and in the convenience of our office. The cost is lower than traditional imaging, with significantly less radiation. Most importantly, 3D/Cone Beam imaging provides the most accurate and complete information to confirm periodontal issues and define a treatment plan. The 3D/Cone Beam imaging system is mounted on a rotating arm. It is referred to as a “Cone Beam” because the scanner projects digital images in a carefully controlled, cone-shaped beam. The scanner moves in a complete circle around the patient’s head, gathering all of the required scans and data. Once the scan is completed, the images are viewed on a large monitor, with high-definition 2D, 3D and panoramic views of the entire mouth at different angles and magnifications. These images can be transmitted to referring dentists for further consultation and follow up.